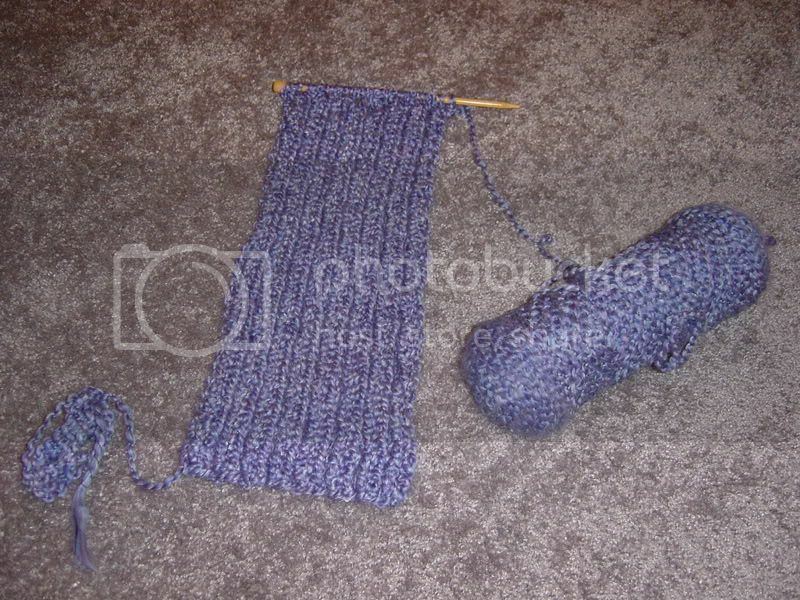 Here is an itty bitty update on my ribbed scarf: I am still knitting slowly yet surely away on it. It isn't the most interesting scarf in the world, but it is pretty and will come in handy next winter, since Florida seems to be getting spring weather now. There is something pretty comforting about picking this scarf up every so often and know exactly where I am in terms of the pattern. It is comforting to know that even though my life is pretty chaotic; I have a cozy blue ribbed scarf at home. This Friday and Saturday is "Visitation Weekend" for UF's Clinical and Health Psychology Department. Doesn't it sound like the applicants are visiting inmates at the local prison? Well, they kinda are...but that doesn't make it less funny! :) I can't believe this time last year, I had just broken my wrist and was upset that I couldn't participate in the Knitting Olympics and was freaking out about getting into a graduate program. Now I am barely keeping up with my knitting and fantasizing about dropping out of grad school and going back to work (I'm just joking Dad!). I miss Homespun. San Diego is just too warm. But have a great time with the Visitation!